“The Legend Is Back!” says Hyundai for the all-new Santro. 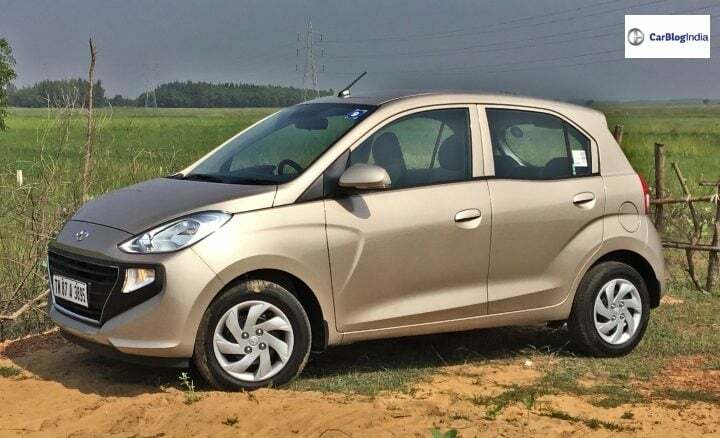 After its discontinuation back in 2014, Hyundai’s tall-boy, the sunshine car comes back to India in an all-new avatar. This third-generation iteration of what is Hyundai’s one of the biggest sellers, the car that in-fact marked the genesis of this South Korean automaker in our country back in 1998, promises to offer all that its previous two generations stood for and then some more. Will it be able to match up to the success that its predecessors achieved? Does it truly stand close to the ideals of what the ‘Santro’ as a brand stood for? Is the legend indeed back? Let’s find out! Before we dwell into finding out if the legend is back or not, let’s take a quick look at what in-fact made this car a legend in the first place! 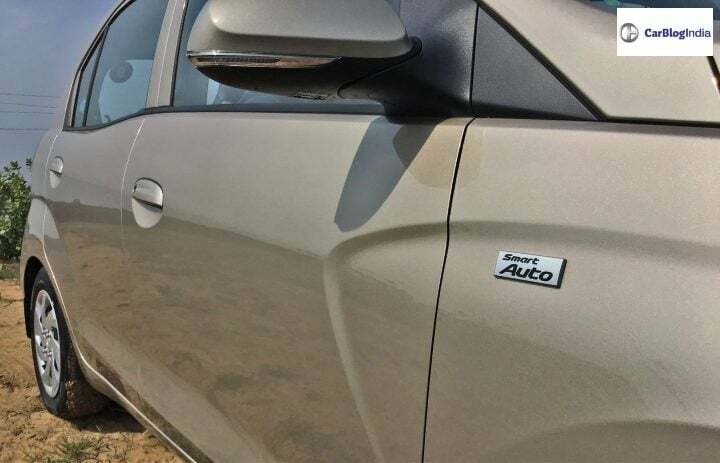 The first and the second generation of the Hyundai Santro offered to the consumers something new, something different from what the competition had in store for them. Be it the practicality, reliability, fuel-efficiency, features or technology, the Santro stood as a complete package, a new alternative to the then Maruti’s and Tata’s. As a result of this, till its discontinuation in 2014, Hyundai sold a total of 1.86 million units of the Santro globally. Of these, 1.32 million were sold in the Indian sub-continent alone. The 2018 Hyundai Santro then has a lot to live up to. 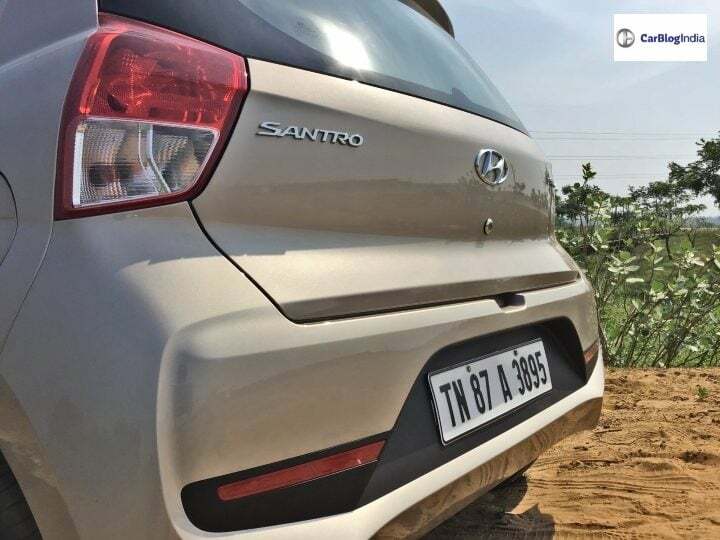 It has to establish itself as a viable choice, a different choice in the compact hatchback segment and carry forward the legacy of what the ‘Santro’ as a brand has left behind. 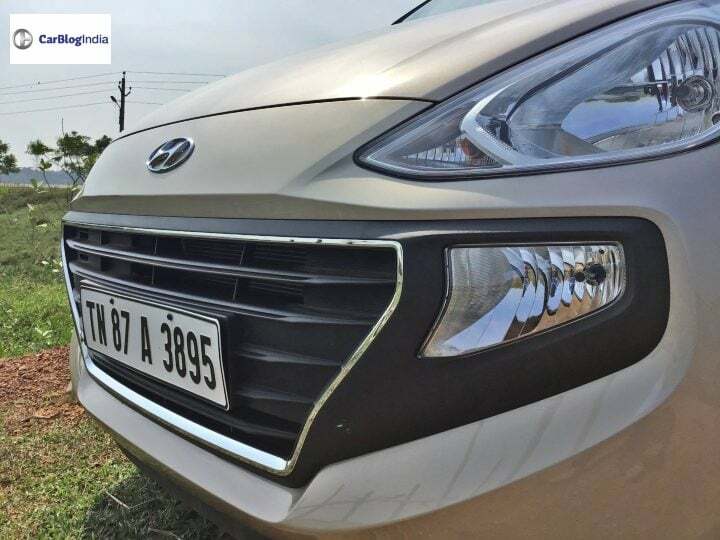 And our first impressions, after spending an entire day with the 2018 Hyundai Santro in the city of Bhubaneshwar are very positive! Let’s first talk about the exteriors, the design of the all-new sunshine car. In my personal opinion, the design of the all-new Santro is quite quirky, yet at the same time maintains its maturity. For instance, the front fascia, with the clean sweptback headlamps and that rather large cascading grille along with the big fog-lamps give a very mature stance. On the other hand, Santro’s side-profile with its kink in the rear window, the boomerang-shaped crease on the front door and fender along with the prominent bulge on the rear wheel arch portrays its funky and youthful nature. Then again, at the rear, you get the simple-as-you-like squarish tail-lamps. A neat augmented design for the tail-gate with a dual-tone layout of the bumper adds to the overall aesthetic appeal. And yes, there is a small roof-mounted spoiler at the back as well. 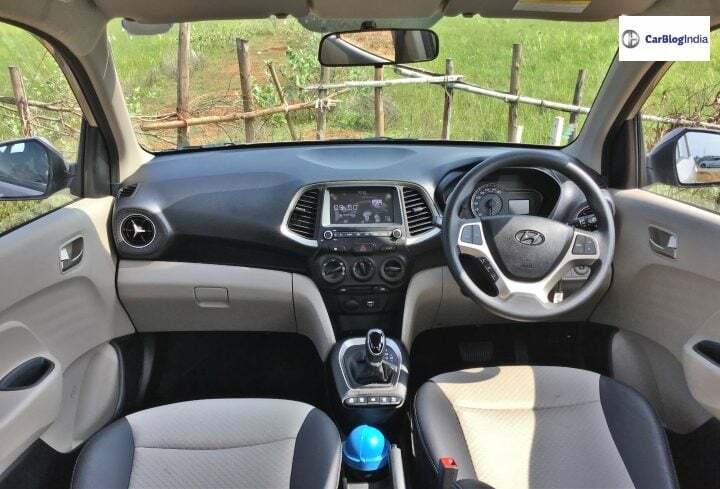 The interiors of the 2018 Hyundai Santro also get the quirky and mature aesthetic stance. 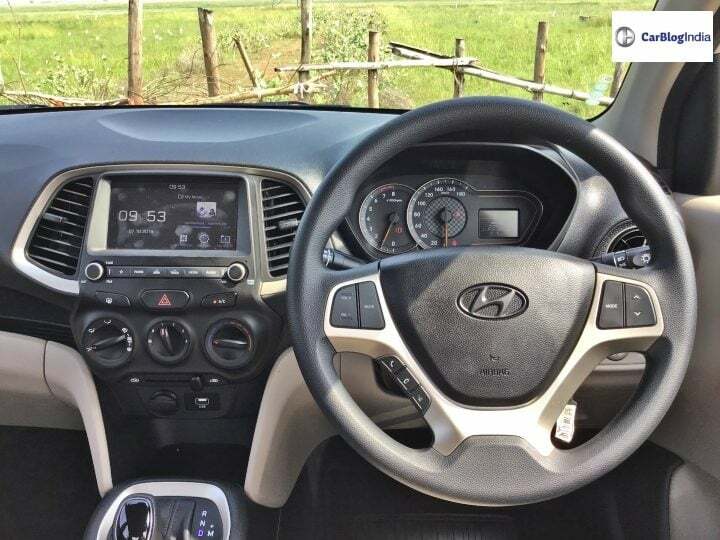 The dashboard layout, in typical Hyundai fashion, is simple, neat and sophisticated. The dual tone black and beige colour combination adds to the interior’s upmarket appeal. In addition to this, the champagne gold inserts on the air-con vents and the steering wheel look quite nice. 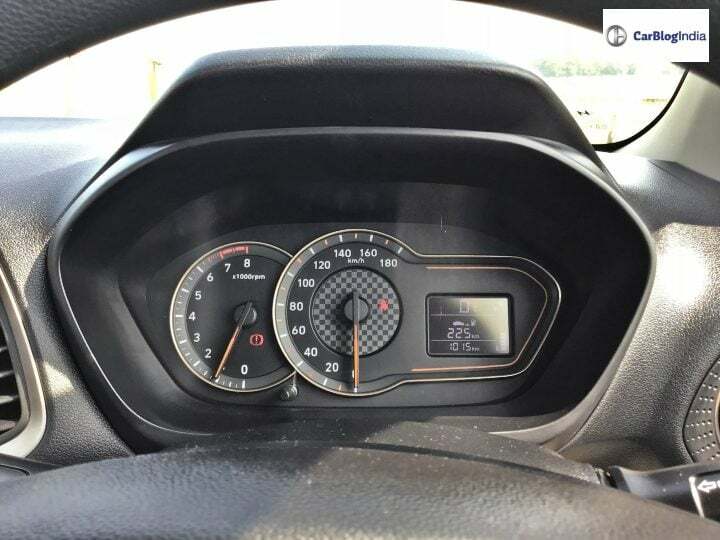 Adding the quirky flair to the cabin is the instrument cluster. Its twin dial layout adds a touch of a contemporary feel to the cabin. Also, the MID display looks very nice. The overall touch and feel of the materials used inside the cabin are very good. This is something which we have come to expect from a Hyundai vehicle, irrespective of the price segment in which it falls in. The quality of the buttons and knobs, be it the controls of the infotainment system, air-con control module or the multifunctional switches on the steering wheel, all operate with ease and give a positive feedback. The large, 7-inch touchscreen infotainment system, sitting in the middle of the ‘elephant inspired’ centre console, is the same unit which you see on the Grand i10. It comes with smartphone connectivity through Apple Car Play, Android Auto and Mirror link. The system is quite responsive to one’s touch and comes with a pretty impressive screen resolution. It also doubles up as the display for the rear parking camera which too shows a very clear image. Though this feature is only available on the top-spec Asta trim. 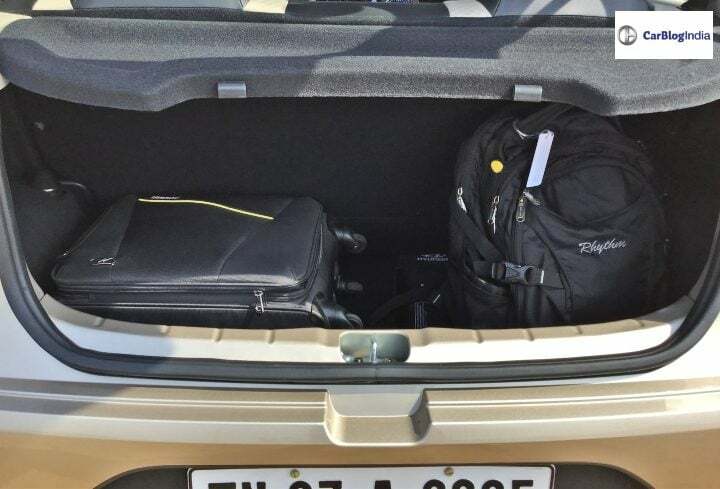 In terms of practicality, the Santro’s cabin offers a decent amount of storage spaces. There are the usual 1-litre bottle holders on each of the four doors. In addition to this, you also get a cupholder in the central tunnel and behind that a smart storage space for keeping your wallet or mobile phone. Not only this, just below the centre console, you also get another storage space, just below the 12V charging socket and USB input slot. Hyundai has also thrown in another smart storage space right above the glove box compartment. Using and accessing these utility storage spaces is quite easy. One thing, which is not quite so easy to operate is the uniquely placed controls for the power windows. Though smooth in operation, situated near the gear lever, they do get a little bit of time getting used to and I often found myself reaching out towards the door pad only to have my hand grasp thin air. The large windows offer a decent view outside and the high seating position further helps the cause. Though for people who like to sit a little low will be disappointed as the Santro does not offer steering and seat adjustment of any sorts. Talking about seating, the rear bench can seat two adults quite comfortably. The backrest is slightly inclined while the bench raises slightly at the edges resulting in a good lumbar and under-thigh support. That said, squeezing in a third adult will be an uncomfortable experience for longer journeys. Talking about longer journeys, the Santro comes with segment first rear AC vents. 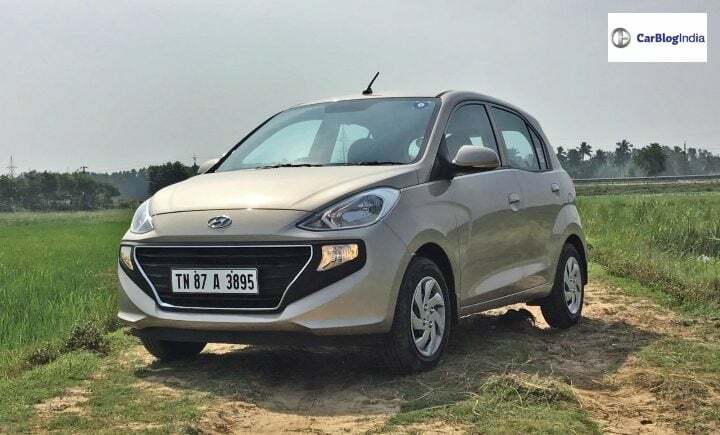 Also talking about journeys, let’s now take a look at the driving dynamics of the 2018 Hyundai Santro but first let me give you a small brief about the engine specifications. 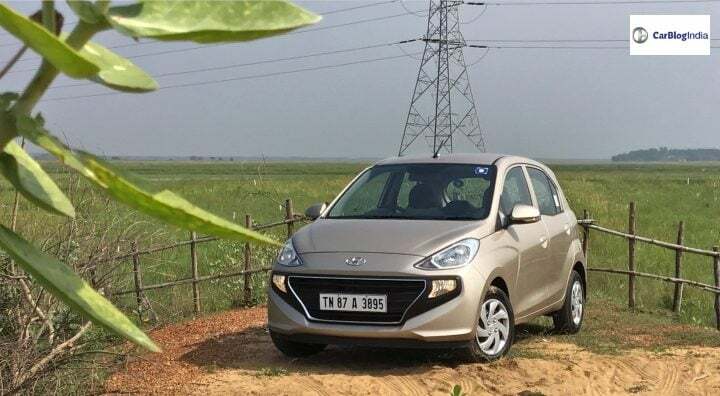 Hyundai has given this compact car its 1.1-litre, EPSILON 4-cylinder petrol engine. It offers 68BHP on tap along with 99 Nm of peak torque. As standard, across all the variants the Santro comes with a 5-speed manual gearbox. In addition to this, there is a 5-speed AMT available on two variants. 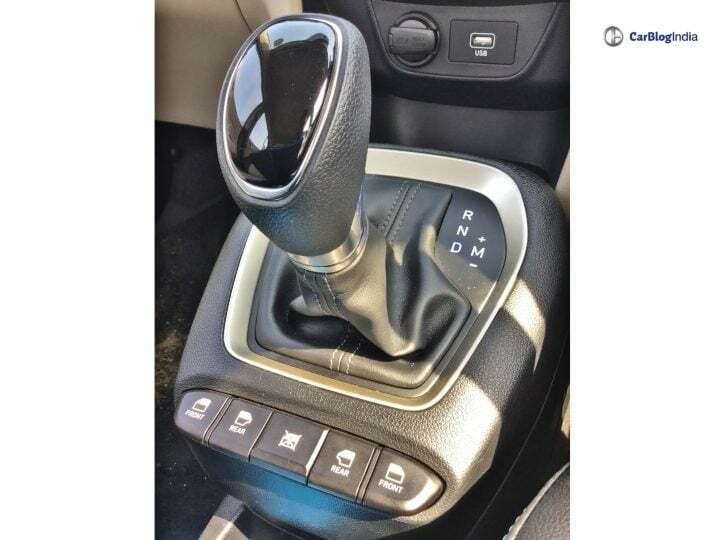 This Automated Manual Transmission in developed in-house by Hyundai. 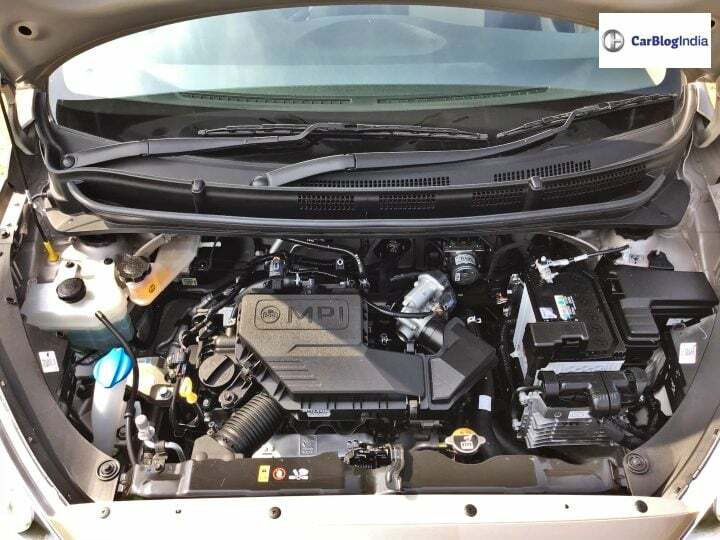 The 1.1-litre engine is the same unit which did its duty on the i10. As before, it operates very smoothly and is quite refined. The power delivery is linear and is quite adequate for city purposes. Even on the highway, you cannot really fault its performance. Reaching and cruising at triple digit speeds is done without any fuss. However, the engine does feel a little bit out of breath if you push it too hard. Hyundai says that they have worked extensively on providing the new Santro with low NVH levels and it shows. There is no wind noise even at triple-digit speeds while the road noise is better than cars placed even a couple of segments above. The vibrations from the engine are non-existent and you can only hear it if you rev it really high. The four-cylinder engine offers high levels of refinement as at idle, one cannot tell if the engine is running or not. The 5-speed manual gearbox has a positive feedback. The shifts are smooth as the gearbox is very slick to operate. Furthermore, the clutch pedal in itself is very light to operate. I did not get the opportunity to test it in stop-and-go traffic though I am sure that the same will perform pretty efficiently. But the real star has to be the all-new, in-house developed 5-speed AMT gearbox. As AMT gearboxes go, this one for sure comes at the top. Hyundai says that they have developed this gearbox specifically for the Santro, for its 1.1-litre petrol engine. The gearshifts are very smooth at city speeds and one does not feel the AMT inherent head nod at all. The gearbox is relatively quick to respond to sudden throttle inputs. It drops down two cogs and holds the gear long enough to perform the required overtake. If you like to take control of the gear changes yourself, there is a manual mode on offer as well. Now shifting our attention to the ride quality, I must say that the 2018 Hyundai Santro comes with a very supple suspension setup. It absorbs bumps nicely and even when subjected to a big one, holds its drink with ease. Even at high speeds, the Santro stays put and feels confident. However, if subjected to continuous undulations, the car does start to wallow a little bit when travelling at highway speeds. To sum it up then, I would have to go back to the question with which I set out in the first place; is the legend really back? Well, I think it is, draped in an all-new avatar, better equipped, more premium and still standing on the same ideals as its predecessors. Things would have been even better if the prices had been a little bit more aggressive. 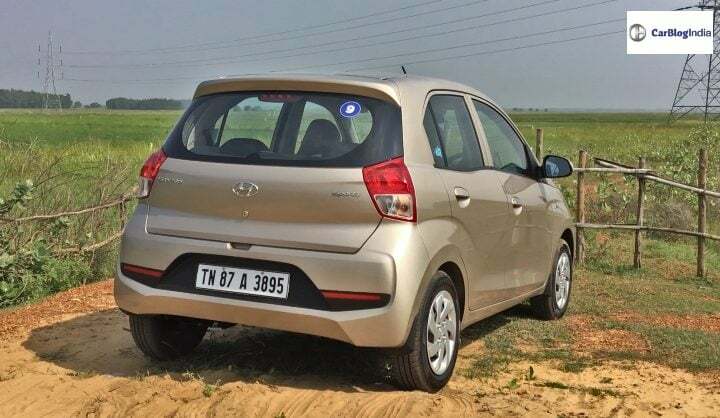 The 2018 Hyundai Santro then is a complete package, an all-rounder package for first-time family car buyers in India who are looking for a rich, feature loaded experience and are willing to pay a slight premium.